As China’s one and only icebreaker - the «Xuelong» (Snow Dragon) returns from this year’s comprehensive Arctic voyage, the country presents the name of its second soon-to-be vessel of the kind. The name of the new vessel is «Snow Dragon-2» (Xuelong 2), newspaper China Daily reports. It is state shipbuilding company Jiangnan, which builds the vessel. It will be China’s first domestically built icebreaker. The «Xuelong 2» is due to be ready for icy waters in the course of 2019. 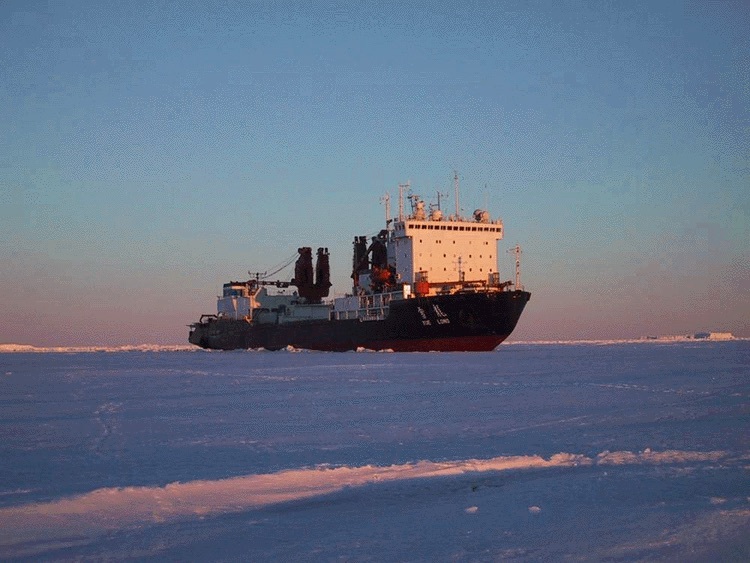 The announcement of the ship’s name comes as the «Xuelong» , China’s currently only icebreaking vessel - is on its way back home after several weeks in Arctic waters. The ship has this summer visited the western part of the Arctic, including the waters off northern Norway and Canada on a 83-day expedition. The new «Snow Dragon» is built based on a contract with the Polar Research Institute of China and designed by Finnish ship design company Aker Arctic. The Jiangnan shipyard is currently involved in the developing the interior part of the ship. According to the yard, the «Xuelong 2» will have «a Nordic style, combined with Chinese elements, simple and comfortable». The polar class 3 vessel will be capable of continuously breaking up to 1,5 meter thick ice with a 20 cm snow cover in both ahead and astern directions. It will be about 122 meter long and 22 meter wide. According to Aker Arctic, the polar research vessel will be equipped with both wet and dry laboratories, a large aft working deck served by several cranes and winches, and a moon pool with scientific hangar that allows deploying CTD Rossette and other scientific instruments in ice-covered seas. It will have comfortable accommodation for up to 90 scientists and crew. A large forward cargo hold, heavy crane and cargo fuel tanks allow the vessel to carry out resupply missions to scientific research stations. The aviation facilities include a landing platform and a hangar for two helicopters. The new vessel will be China’s second of its kind. From before the country has the «Xuelong» (Snow Dragon), a ship built by a Ukrainian yard and in operation since 1994. According to Yang Huigen, head of the Polar Research Institute, the «Xuelong» was built primarily for transportation of supplies to China’s research stations. Furthermore, the ship has proven itself not sufficiently suitable for complex Arctic condition, he told the China Daily. China has previously announced that it also intends to build also a nuclear-powered icebreakers. An agreement was signed this year between the National Nuclear Corporation and State Shipbuilding Corporation development of the nuclear-powered ships.